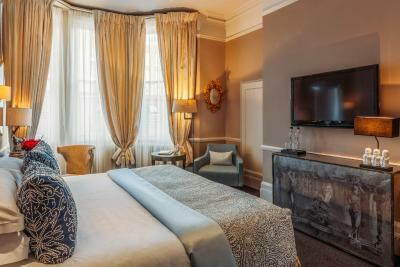 Lock in a great price for 11 Cadogan Gardens – rated 8.7 by recent guests! The room was tiny in the bathroom tinier. Poor value for money. The hotel is a real gem! Location, general ambiance (loved it! ), the room, service, everything was to the highest standard! Everybody at the hotel was so friendly and helpful. The room was very clean. The bed was really comfortable. The only thing for the management to think about is sockets next to mirrors. It was challenging to blow dry my hair without actually looking at myself. But this is a minor “negative” thing I can mention. We felt quite like at home as every room like the library, the fireplace tea room, the bar and every nook and cranny were so cosy! Beautiful hotel. Elegant building and location. Fabulous staff. We were upgraded to a junior suite. They treat you as special guests from the minute you arrive. The bathrooms are huge and the rooms spacious and comfortable. 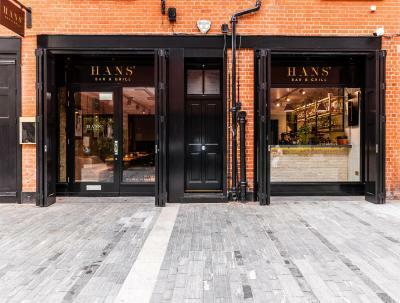 Location is fantastic ,The renovation and The new restaurant HANS is an added bonus. It's the staff that ultimately keeps me coming back . Rooms are comfortable and lovely, and come with well-stocked espresso machine, which comes in handy for dealing with jet lag. 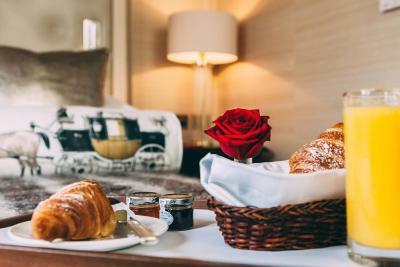 Breakfast is outstanding and includes freshly prepared omelette, avocado toast and other treats, along with a comprehensive and high quality buffet. Staff members are cordial and helpful, and the neighborhood is lovely and convnient to most things. This was my second visit, and I look forward to returning! 11 Cadogan Gardens This rating is a reflection of how the property compares to the industry standard when it comes to price, facilities and services available. It's based on a self-evaluation by the property. Use this rating to help choose your stay! 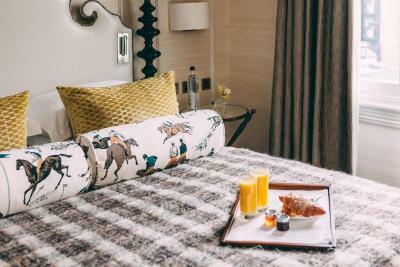 One of our top picks in London.A member of Small Luxury Hotels of the World™, this 5-star hotel offers gourmet breakfasts and boutique bedrooms with marble bathrooms. 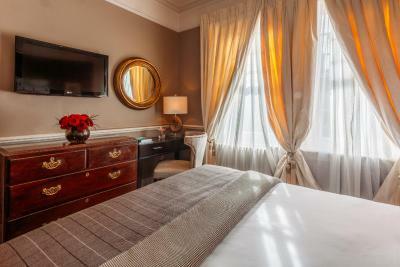 11 Cadogan Gardens is just off Sloane Square and a 10-minute walk from Knightsbridge. 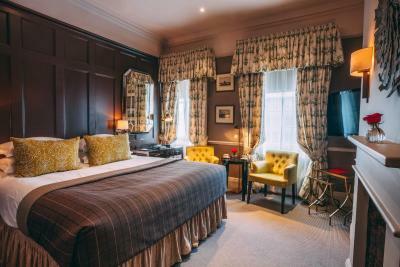 The sumptuous rooms feature fluffy bathrobes and Ormonde Jayne toiletries. All rooms have free WiFi access, quality Egyptian linens and mineral water. 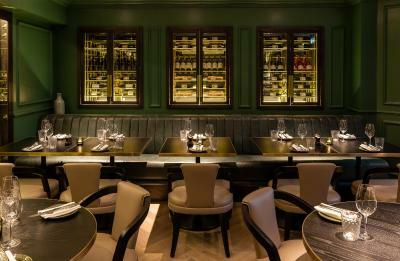 The stylish bar is decorated in grand Victorian style, and serves classic cocktails and fine wines. 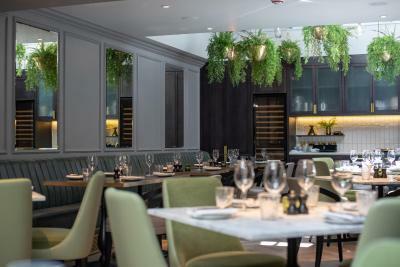 11 Restaurant has an innovative menu, which features fresh ingredients and local produce. 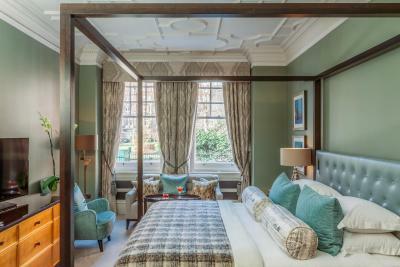 The 11 Cadogan Gardens features a gym with personal touch-screen TVs and chilled mineral water. 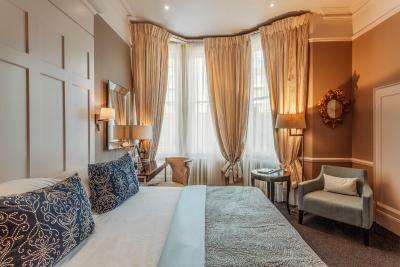 11 Cadogan Gardens is set across 4 Victorian town houses in the elegant London Borough of Kensington and Chelsea. 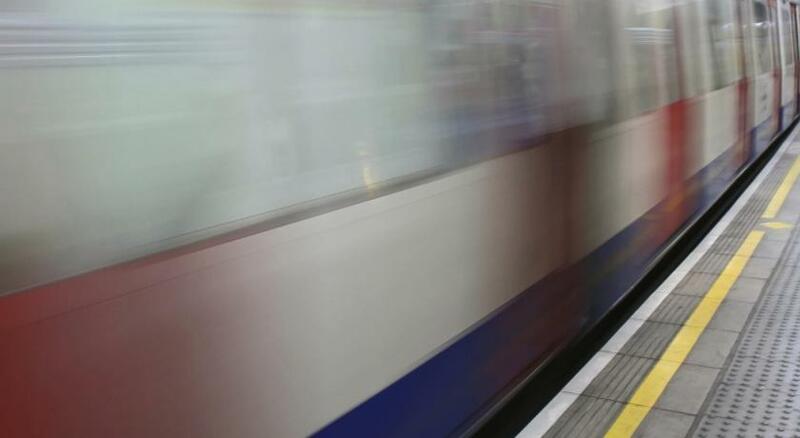 The Saatchi Gallery is 1,000 feet away, and Sloane Square Station is within a 5-minute walk. 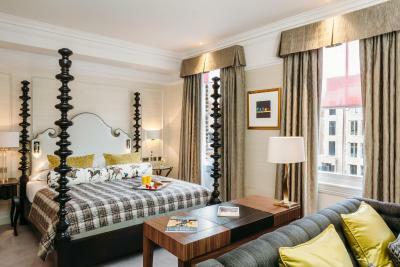 When would you like to stay at 11 Cadogan Gardens? A queen bed, air conditioning and free Wi-Fi are featured in this room. A flat-screen TV is also provided. 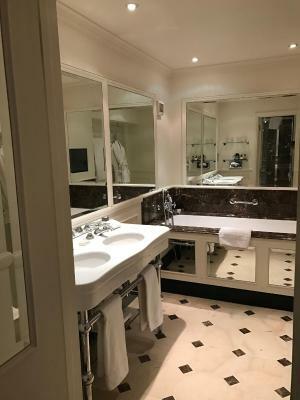 Large luxury air-conditioned suite featuring a king bed, a Nespresso coffee machine, an elegant marble bathroom and a sitting area. An extra bed charge is applicable for this room type. This air-conditioned suite features a king bed, flat-screen satellite TV and free Wi-Fi. 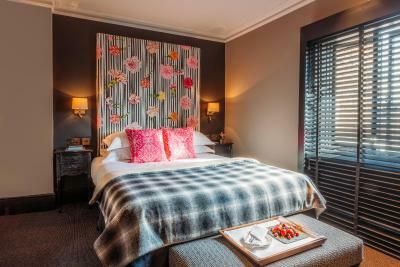 The room can also be made up with twin beds upon request, subject to availability. Please use the Special Requests box when booking to request a twin room. An extra bed charge is applicable for this room type. This spacious room features a king bed, air conditioning and free Wi-Fi. A flat-screen TV is also provided. This suite has a satellite TV, air conditioning and bathrobe. 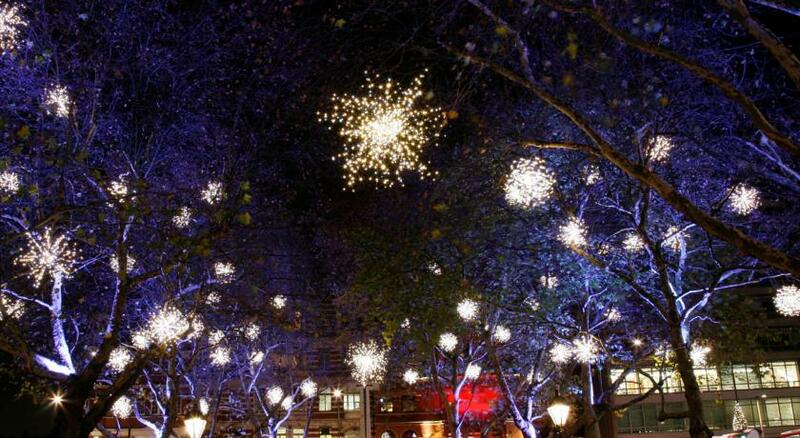 11 Cadogan Gardens is located just off Sloane Street in the heart of Chelsea. 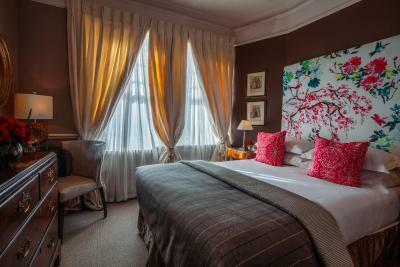 A member of the internationally recognised brand Small Luxury Hotels of the World, this enchanting urban hideaway is full of character and charm. 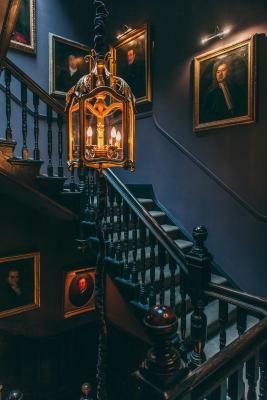 Originally built as four separate Victorian townhouses by Lord Chelsea in the 19th century, the hotel has a unique and rich heritage forming part of the historical Cadogan Estate. 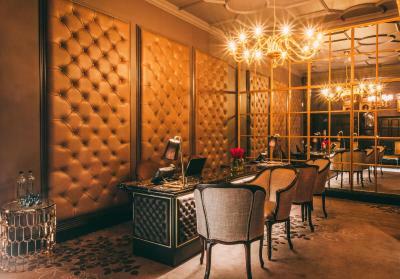 Following a year of extensive renovations in 2015, the hotel is relaunching with 56 rooms, 25 of which are beautifully and individually designed suites. The drawing room is an electric mix of contemporary and classic design with warm tones, whilst the library injects colour with blue fabrics and varying textures. 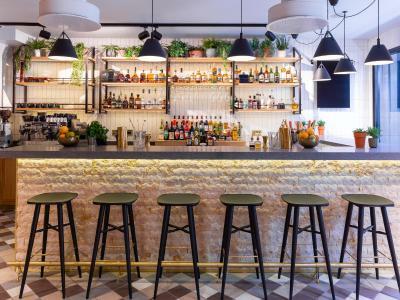 The stylish bar is decorated serves classic cocktails and fine wines. Tartufo Restaurant has an innovative menu, which features fresh ingredients and local produce. Check-in is from 2.00pm and Check-out is at 12:00. Complimentary WIFI throughout the hotel. 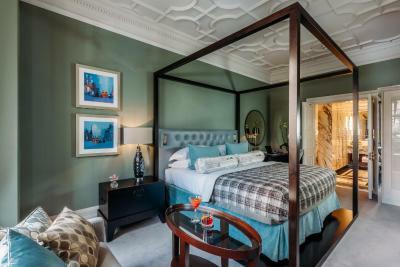 House Rules 11 Cadogan Gardens takes special requests – add in the next step! All children under 16 years are charged GBP 72 per night for extra beds. Any additional older children or adults are charged GBP 72 per night for extra beds. 11 Cadogan Gardens accepts these cards and reserves the right to temporarily hold an amount prior to arrival. Excellent breakfast. The best i had ever had. Difficult to use the hairdryer as no mirror in the room. When the window was open we found we were above the outdoor smoking area. It is hard to understand that a hotel that prides itself of being a 5 star hotel does not have a mini bar in the room, and yet the room is over 40 sq.meters. Also no small things such as toothbrush, needle and thread, show polish. Staff very responsive, top notch service quality. Great location. i requested a higher floor at booking. at reception they did not even read my request. Upon asking they offered me a room on 4th floor. then they cancelled (in front of my eyes) then they offered me another room (4th floor). accomodation: No heating in the bathroom (only a towel dryer), it was cold, the sink was too small, no place to put your stuff, the windows dont close properly and wind blows through / makes curtain move. old / unsafe elevator, and not accessible for disabled people. Fire estenguisher was removed from his place in the corridor. Emply food trays in corridors Is this hotel safe? breakfast place, was ok, food was mediorcre, service was slow. not even a good morning, nor a smile:-( this is not a 5 star hotel, this is a worn out 3 star. when i was asked at check out is everything was ok, i hesitated and said, just ok, no questions where asked by receptioniste to further understand what was not ok... so there is no sense from hotel side to improve the service/ customer satisfaction. The lift wasn't great very small and couldn't shut it properly.